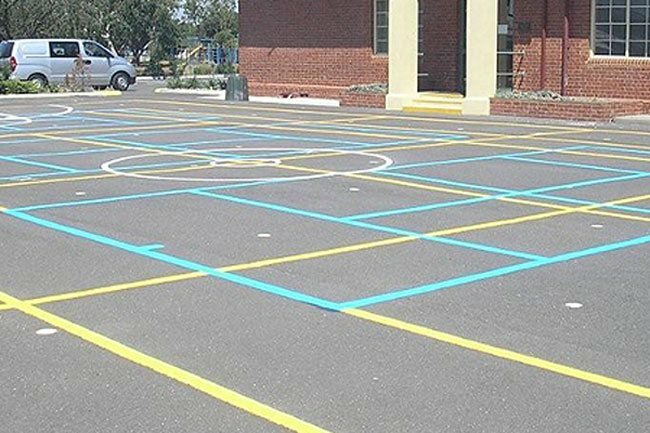 Established in 2007 by Simon Banks, Suburban Line Marking provides high quality craftsmanship in the line marking industry. With over 25 years professional experience, Simon and his team’s attention to detail, reliability and friendly service has been the driving force in the success of projects in Melbourne and surrounding suburbs. Our high standards begin with the initial contact. We complete a detailed inspection of the project where we are happy to provide expert advice, followed by a written quote. A solid commitment to quality and client satisfaction is guaranteed through to the follow up of the completed service. Our work is 100% guaranteed. 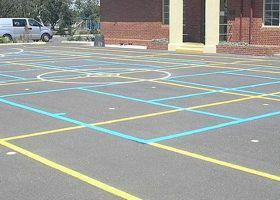 Suburban Line Marking has high safety standards: adhering to all the current Occupational, Health and Safety regulations. We utilise a standards and safety checklist for each job and all our employees have completed an OH&S Construction Training Course and are police checked. We have Workcover for all employees and are fully covered with Public Liability insurance. All employees wear a Suburban Line Marking uniform. Suburban Line Marking recognises the importance of, and is committed to, preserving the environment. As part of our commitment we use an Enviro Wash to clean all our tools, ensuring that no paints or solvents are disposed of in drains, waterways or gardens.